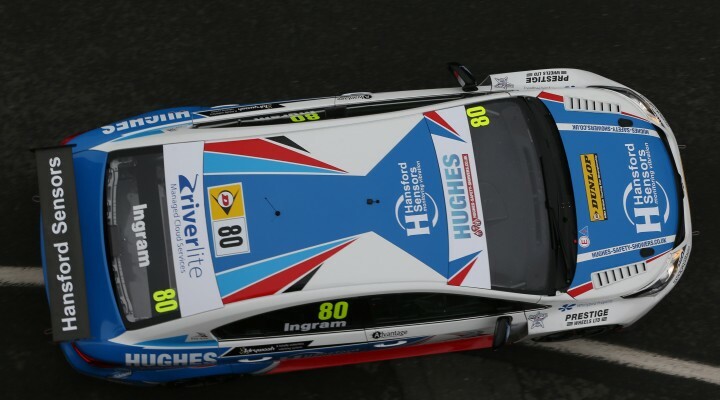 Speedworks racer Tom Ingram kicked off his sophomore season in some style with an absolutely blistering display in the opening practice session at Brands Hatch this morning (4 April). The talented young gun set no fewer than three laps that were faster than any other driver in a drying session where bragging rights changed hands several times. Jason Plato, Adam Morgan, Jack Goff, Andrew Jordan, Sam Tordoff and Andy Priaulx all enjoyed spells at the top as times tumbled throughout the 40 minutes of running, but it was Ingram who delivered when it mattered. The majority of cars commenced their season on Dunlop Sport Maxx Blu Response wet tyres but almost all had switched to slicks by mid-session. If Ingram’s performance was a relative surprise then a host of rookies also shone. Kieran Gallagher (Toyota Avensis), Alex Martin (Ford Focus), Josh Cook (Chevrolet Cruze) and Mike Bushell (Ford Focus) were all quick out of the blocks, whilst a number of their more illustrious and experienced rivals endured difficulties. After a slow start it was Honda’s Matt Neal who claimed second, signalling a good debut bow for the all-new Civic Type R. Team-mate Gordon Shedden propped up the order, however, after failing to set a time during the driest, and therefore quickest, period of the session. Power Maxed Racing completed its best ever session with Josh Cook and Dave Newsham finishing third and fifth respectively, with the WSR-run BMW of Rob Collard sandwiched between them. Returning star Andy Priaulx was there or thereabouts throughout and eventually claimed sixth in the standings. “With 28 cars on the Indy circuit it was pretty exciting,” said the three-time World Champion. “I was on a quicker lap at the end but got caught up in some traffic, but I’m really delighted to be out on-track in the BTCC. The championship is going so well at the moment – the guys have put together a brilliant series – and it’s just good to get going!”With all the hype over Colin Turkington and Jason Plato joining Team BMR it was in fact the fledgling squad’s other two drivers who fired out a reminder of their own abilities as Aron Smith and Warren Scott set the seventh and eighth fastest times. Hunter Abbott (Audi A4) and Simon Belcher (Toyota Avensis) also completed impressive runs to round out the top ten. Both MGs were absent from the leading pack after Andrew Jordan suffered with turbo failure having only set one flying lap, whilst Jack Goff focussed on race-pace set-up in the mixed conditions. Free Practice Two takes place at 12:45 before the all-important qualifying session commences at 15:40 this afternoon. Stay tuned to btcc.net for live updates and reports and visit www.itv.com/btcc for live streaming of qualifying. Click here for the full classification from FP1.